Born 1964 in Lower Saxony, lives in Berlin since 1995. As a composer/performer, working in the non-academic fields of experimental music, he is known for his widely abstracted use of percussion instruments in combination with selected objects. Since the late 1980's he is performing at internationally renowned venues and festivals throughout Europe, North America, Australia/NZ and Asia as diverse as the LMC Festival (London), SKIF (St. Petersburg), Donaueschinger Musiktage, Musique Action (Nancy), ZKM (Karlsruhe), Gaudeamus Festival (Amsterdam), Liquid Architecture (Australia), Taktlos (CH), Computing Music (Cologne), MoMA (New York), or Maerzmusik (Berlin). He is a memberof groups like Perlonex, Activity Center, Polwechsel, Trio Sowari, Phosphor, BBB and The Sealed Knot, and also works with Keith Rowe, Sven-Åke Johansson, Phil Minton, Orm Finnendahl, John Tilbury, Charlemagne Palestine and many others. Meanwhile he has released more than 30 CDs and LPs on labels like 2:13 Music, Zarek, Erstwhile, HatHut, Potlatch, Absinth or Confront. 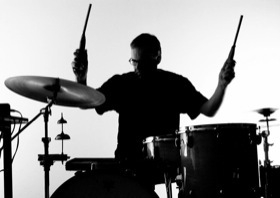 His first Solo-CD "Disco Prova" has been released in 2007 and combines field recordings and percussion material with digital multitracking, followed in 2009 by "Structural Drift", a result of a sound art residency at Künstlerhäuser Worpswede, based on e-bowed and propelled zither, analogue synth, objects and small electronics.